Plastic molded, highly modular and stackable, twin-head peristaltic pumps for flow capacities up to 400 ml/min and channel and pressure up to 2 BAR. 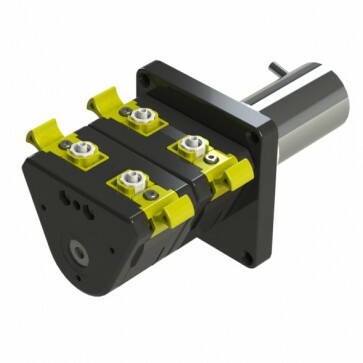 The SP-1×2 OEM pump has a plastic molded pump head made of PPS Ryton® for increased chemical resistance, mechanical stability and higher tolerances. The 4-roller Acetal/POM rotor ensures accurate and even pulsations.